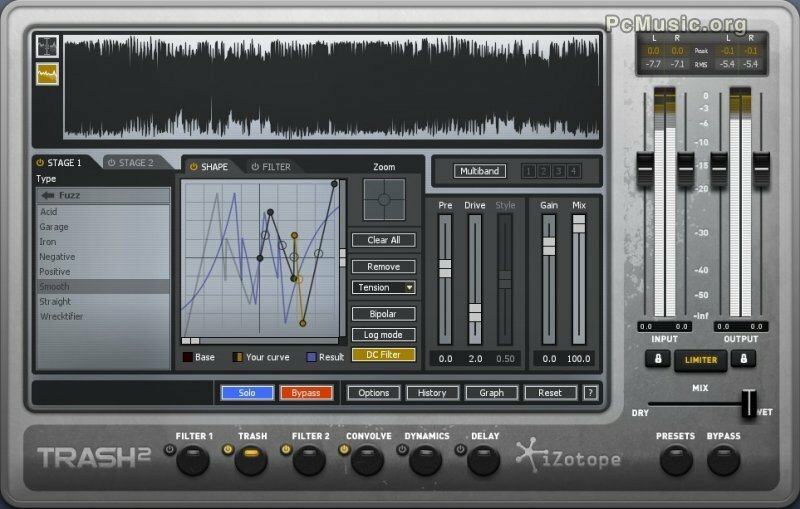 IZotope, Inc. has announced Trash 2, the ultimate audio mangling and distortion device. - Distort in ways you never dreamed with the Trash module's 60+ distortion algorithms, perfect for transforming your sound into something never before heard. - Let your tracks inhabit any space or object with the new Convolve module. Choose from over 100 impulse responses, or load your own to put your bass in a washing machine or your keys in a cave. - Find a new voice: make your audio speak and growl with two redesigned Filters, each one featuring new vowel formant filters, screaming peaks, node modulations, and more.